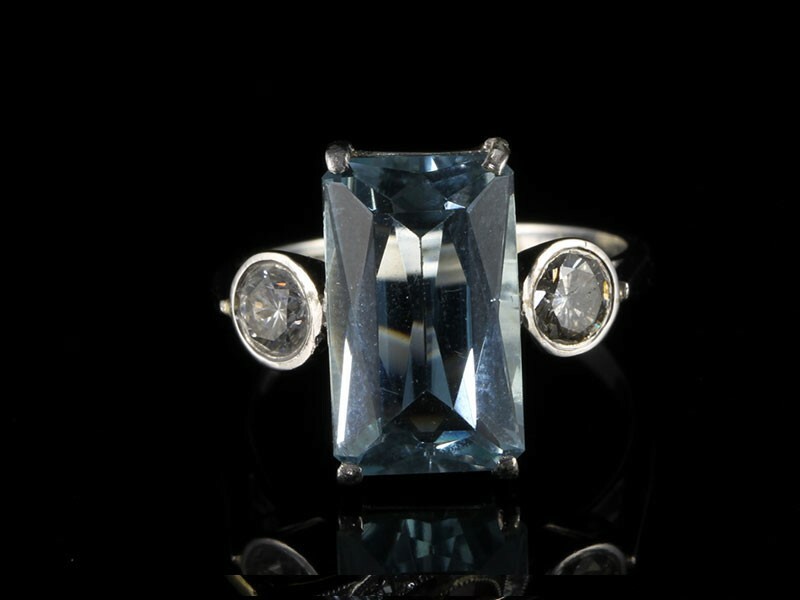 A stunning 4 carat Aquamarine and Diamond 18 carat white Gold trilogy ring. 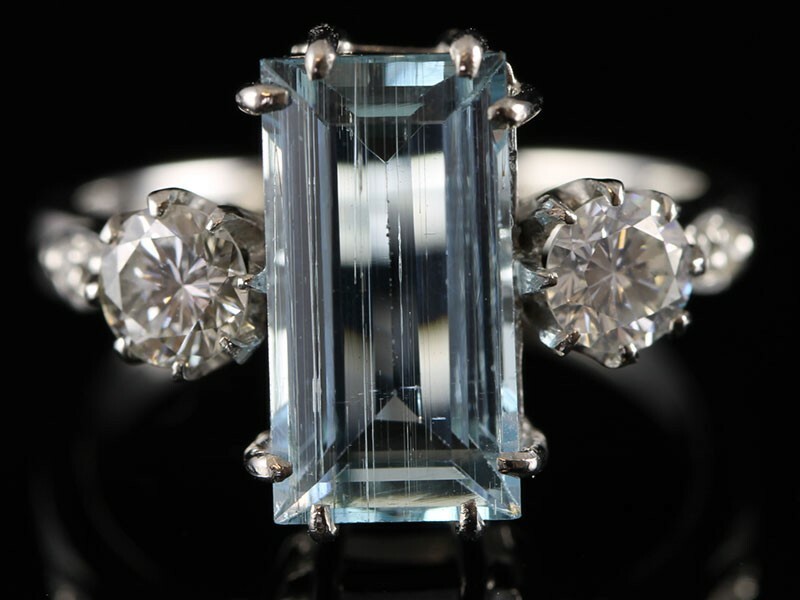 The emerald cut 4 carat Aquamarine shows off its beautiful clarity, while 2 brilliant cut Diamonds flank the sides. This queen-size, show stopping serene glacier-blue Aquamarine shines day and night in a fabulous oval-shape weighing approximately 20 carats. 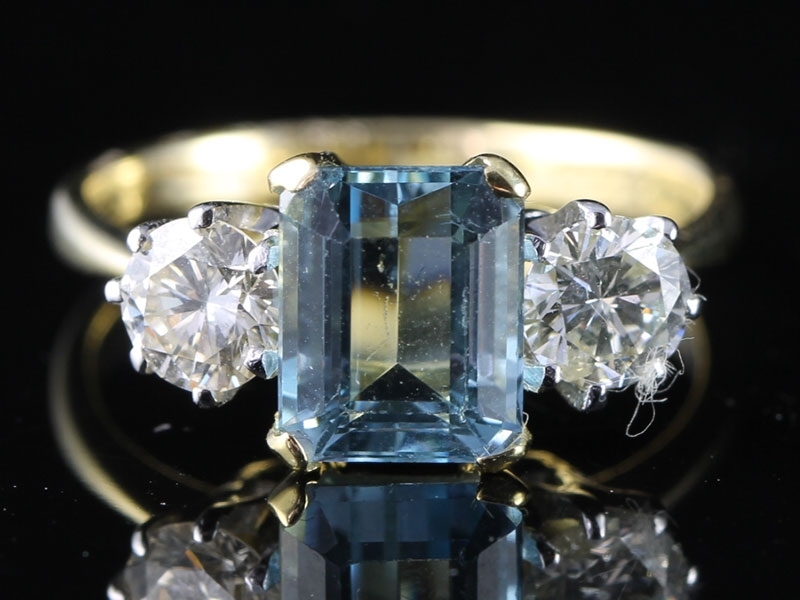 A richly saturated refreshing swimming pool blue emerald-cut Aquamarine, weighing 3.00 carats, gleams and glistens between a sparkling pair of brilliant cut collate set sparkling Diamonds. 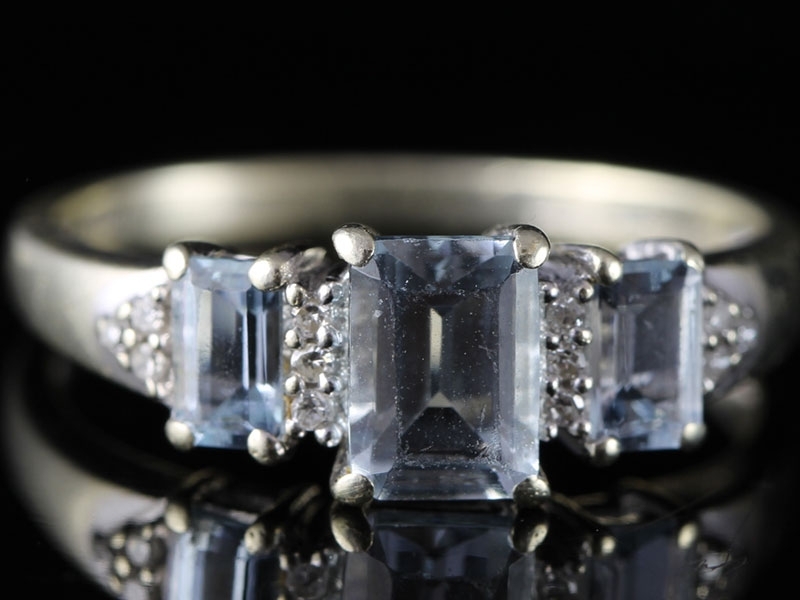 Sophisticated simplicity marks this placid Pastel Blue Emerald Cut Aquamarine ring weighing two carats. One to treasure. 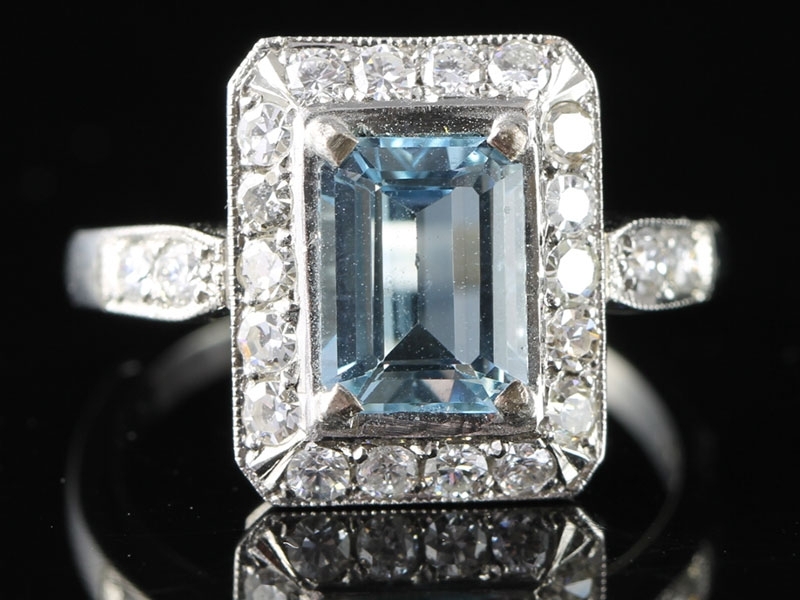 The Emerald Cut Aquamarine shows off its beautiful clarity, while dazzling modern Brilliant Cut Diamonds flank the sides. 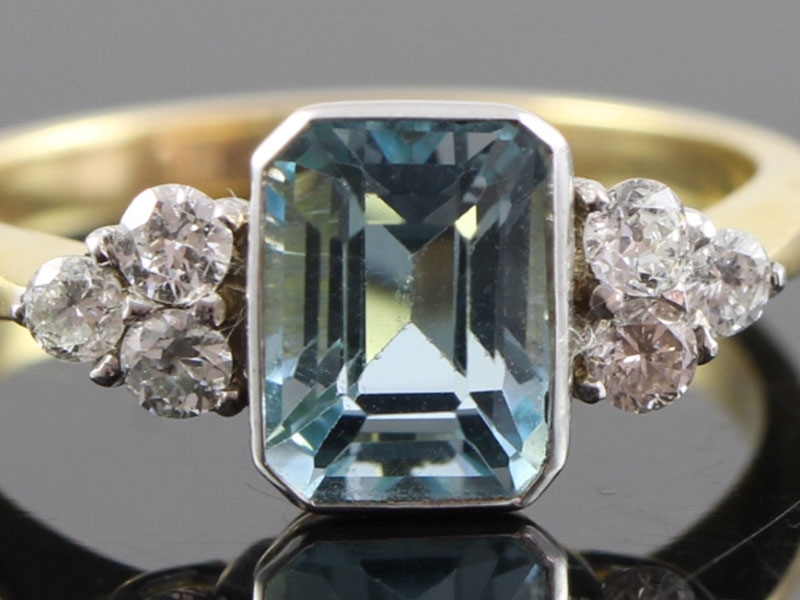 Nothing is more exqusite than this Emerald Cut Aquamarine stone flanked by four birght white sparkling baguette Diamonds with an uncomplicated yellow Gold band. 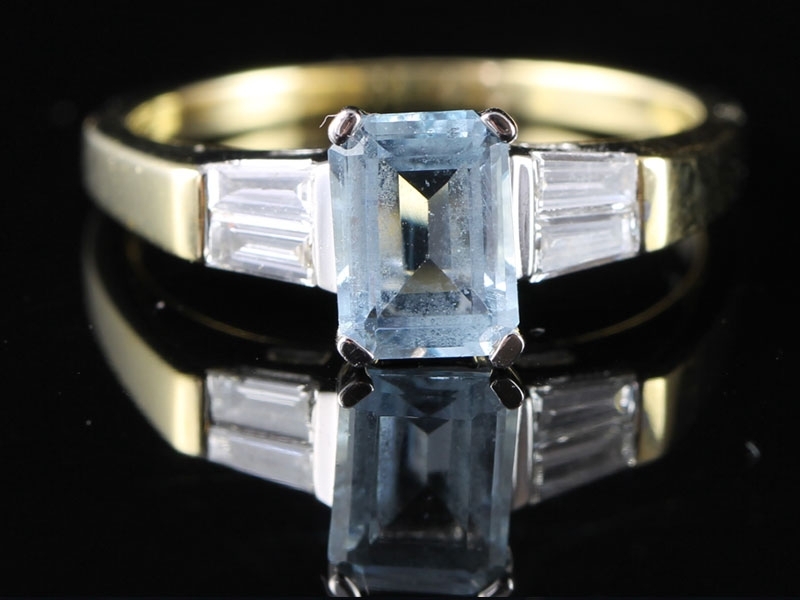 The clear blue colour of this Fabulous Emerald Cut Aquamarine gemstone evokes the beauty of tropical, crystal-clear waters. But unlike the ocean, this ring won't suffer from cloudy days. 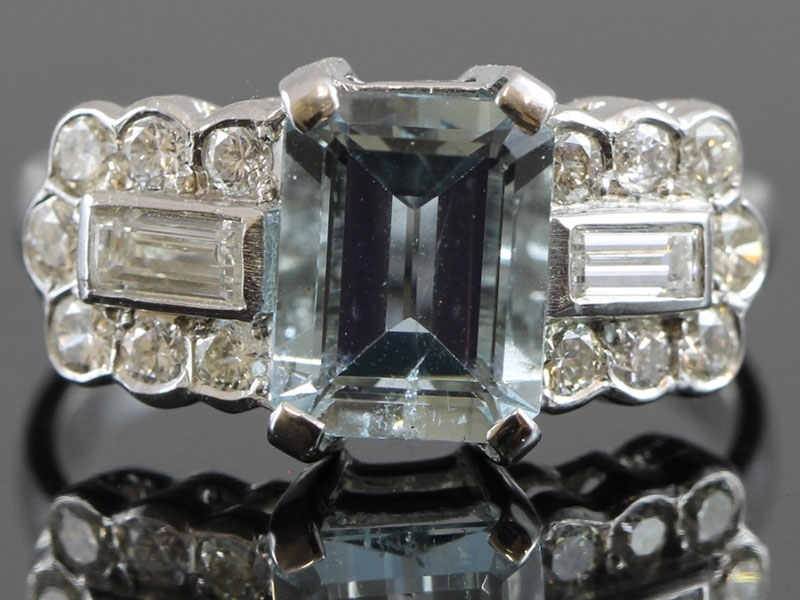 Artistic, beautiful and modern, this 18 carat solid white Gold contemporaty ring is set with a refeshingly clear natural Aquamarine gemstone accented on each side by 18 bright white sparkling Diamonds. 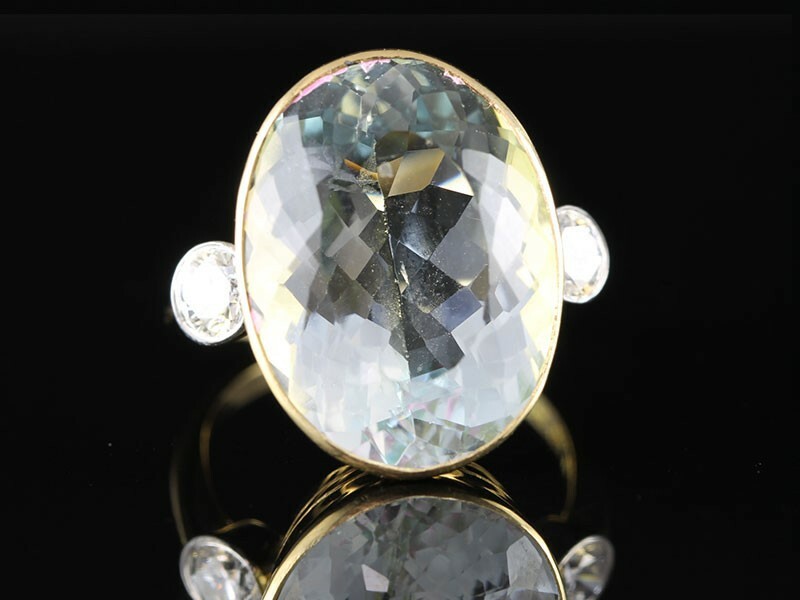 The irresistible beauty of this glamorous dress/cocktail ring assures that you will always make an entrance with style. 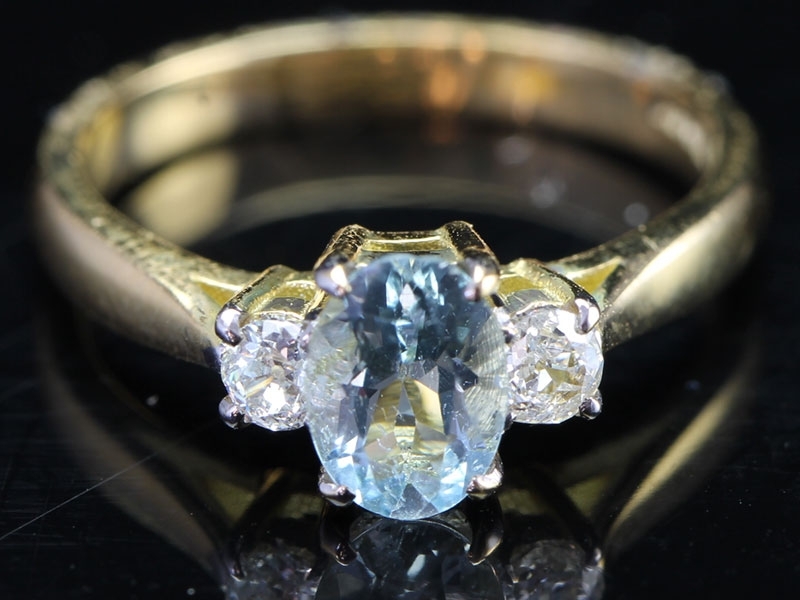 This beautiful half a carat oval Aquamarine and 0.20 point Diamond 3 Stone Ring is an elegent and contemporary piece for any occasion. 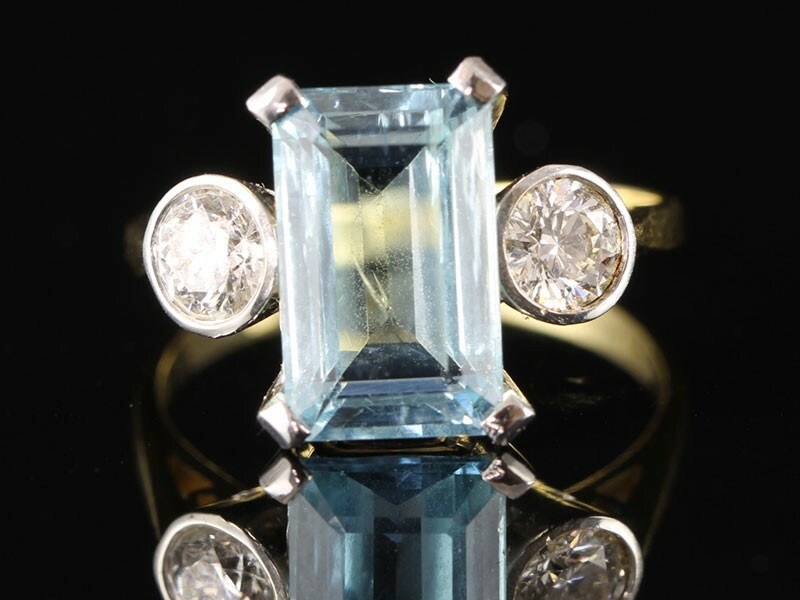 An expression of elegance, wear this exceptional ring and let the colourful Aquamarine provide a timeless finish to everyday and evening looks. 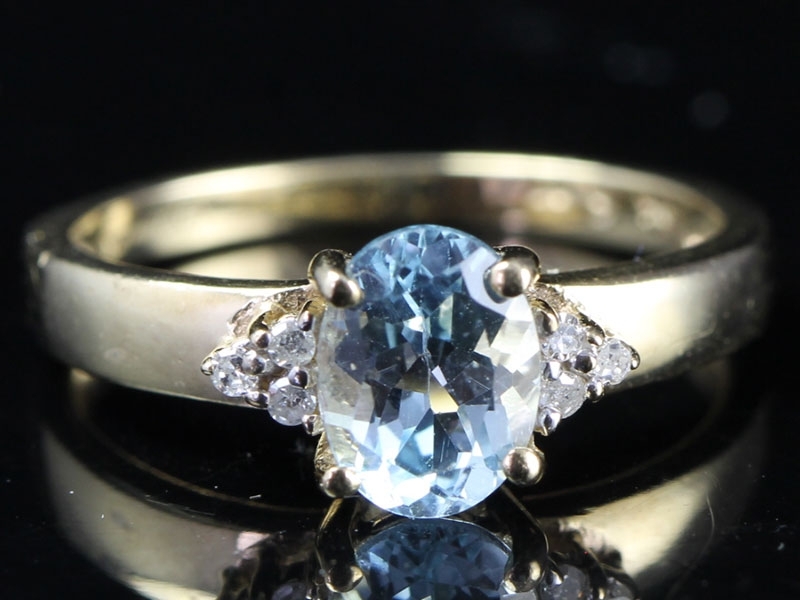 The Diamonds serve to add sparkle to the more subtle and cool colour of this beautiful Aquamarine trilogy ring. 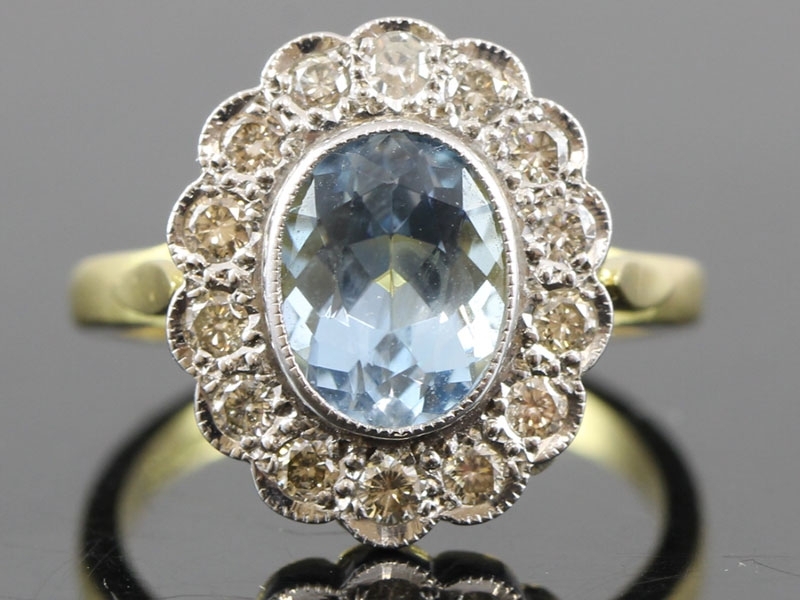 This is a stunning, feminine ring that works well for all occasions, styles, and ages. You will love it! 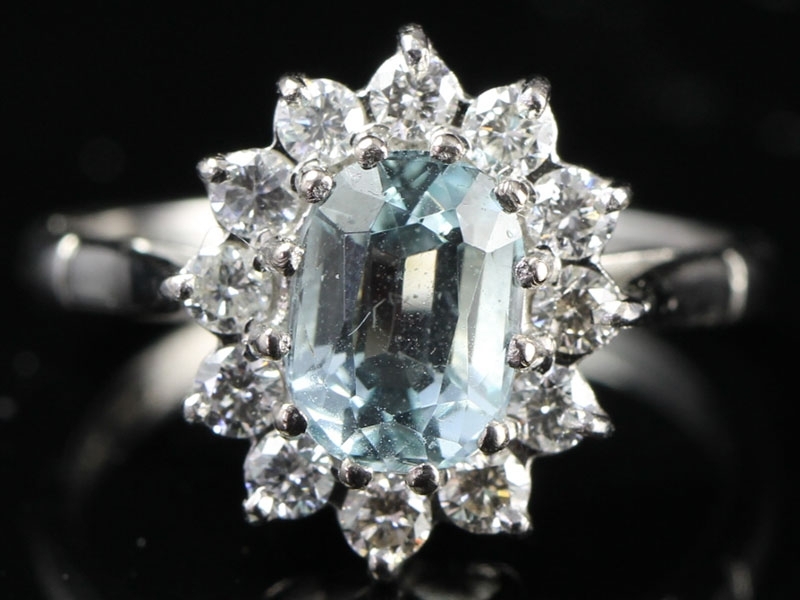 Fabulous feminine and romantic this Circa 1960's Aquamarine and Diamond cluster ring will dazzle and delight your loved one, do not miss this opportunity to mark a lifetime's commitment with this fabulous rare hard to source gemstone. 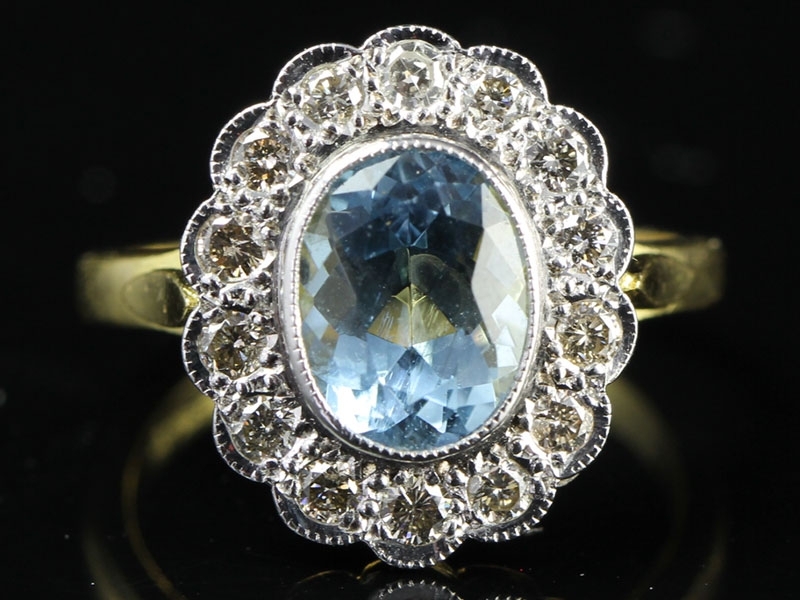 A gorgeous Aquamarine and Diamond oval cluster ring whose gemstones continuously sparkle and glisten wonderfully from every facet. 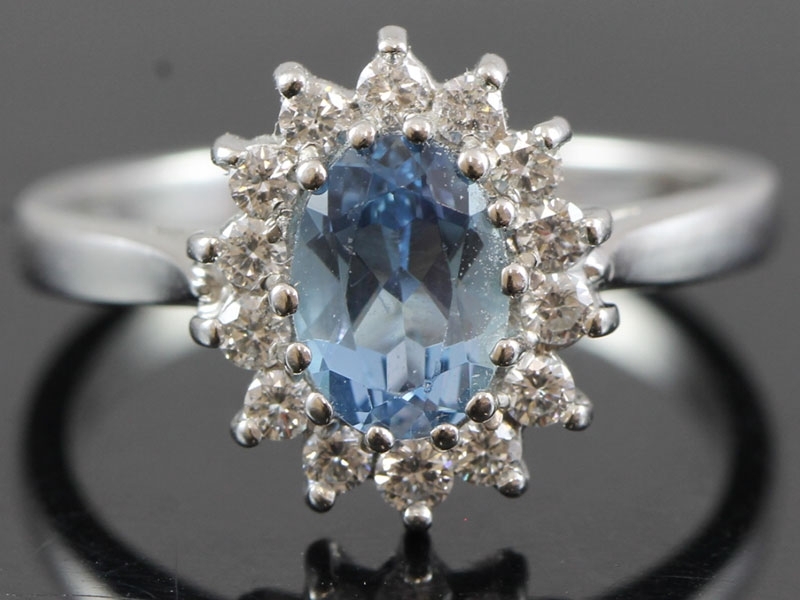 A refreshing splash of cool blue sparkles from the center of this impressive, eyecatching and thoroughly stunning Aquamarine ring. 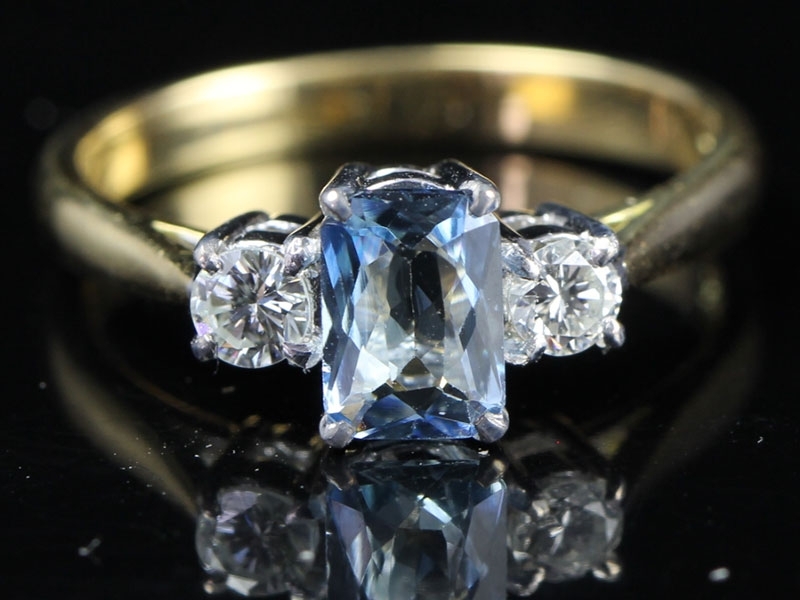 The ring has an important look combined with a truly beautiful design. 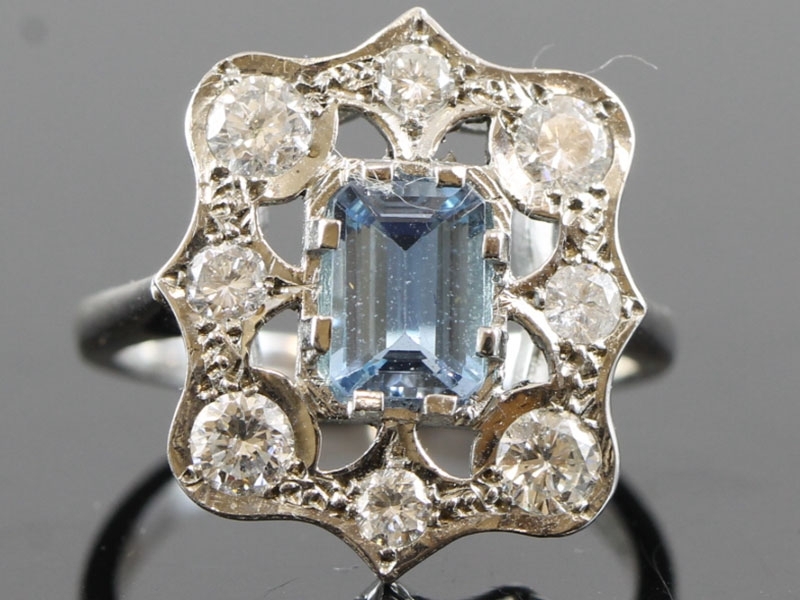 This dramatic ring was inspired by the Art Deco era and is simply stunning. A guaranteed smile with every look at your hand! Strikingly beautiful, this sensational Diamond and Aquamarine ring is a bold and distinctive alternative to a classic Diamond ring. 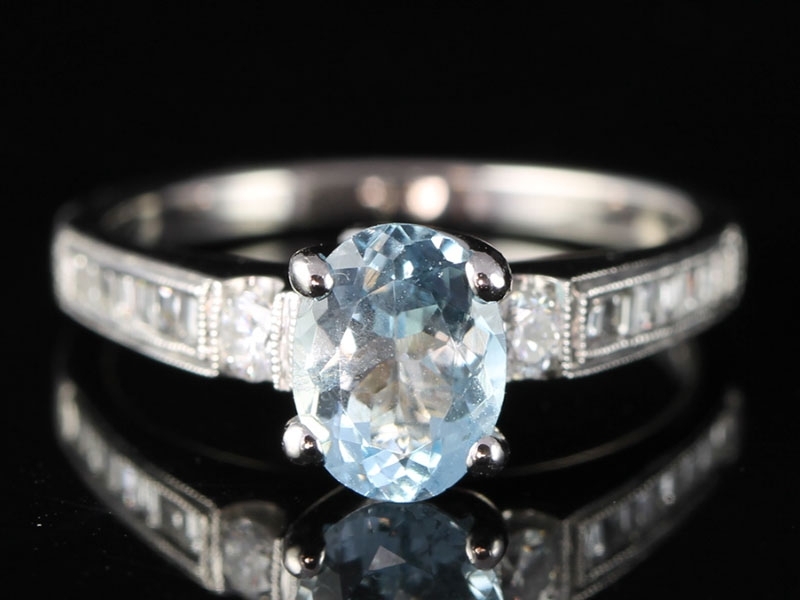 A stunning creation with Art Deco influences, set with a tantalising Aquamarine nestled between six sparkling Diamonds, simply gorgeous. The elegant shimmer of this stunning Aquamarine and sparkling Diamond cluster ring will add a touch of Hollywood glamour to any occasion. 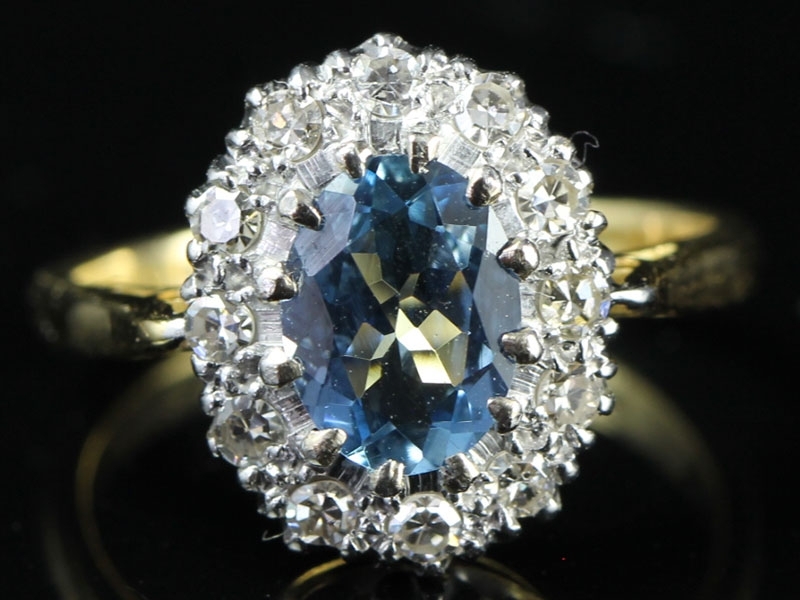 This gorgeous classic Aquamarine and Diamond cluster ring is a perfect ring for wedding, birthday or engagement.